TWO WEEKS AGO I WAS WARNED THAT I PROBABLY WAS GOING TO DIE, AND THEN AN ANGEL CAME AND LAID HIS HAND ON MY SHOULDER AND SAID: "EXPERIENCE IS LEARNING"
7-5-15 - DREAM - I seemed to be in the basement of the company where I worked for 11 years. A-C! I knew something bad was going to happen, but I wasn't certain what it was and I wanted to go home before it started, whatever it was. I couldn't find my way out of the basement though, so I hollered to a woman, "which way is it to the elevator?" She pointed to a corridor that went left ahead of me. I had to go through a doorway into that next corridor, and when I did, I was facing 10 or 12 Chinese people. The very second I saw them, fear came over their faces as they were looking at something written on the wall over my head. I knew that whatever was going to happen was written on the wall right over my head. The fear on the faces of the Chinese people made me so afraid, I forced myself awake, because I was too afraid to turn around and look to see what they were seeing written on the wall over my head. 7-7-15 - MEDITATION - VOICE: "THE OBJECT THAT IS COMING IS COMING FROM THE PENTACOSTAL SOUTH AMERICAN SKIES." NOTE: I THINK THAT MEANS THE SOUTHERN CROSS WHICH WAS MENTIONED IN ANOTHER MEDITATION RECENTLY. 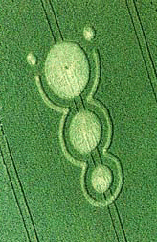 A new crop circle is reported on James Hussey's farmland high up on the Ridgeway ancient road near Hackpen Hill. Others have pointed out that the a portion of the Bee-Hive formation is similar to ancient symbols of the Winged Disk God. In this sense, the formation could indicate God below the hive-like or Omphalos-like mound, with its possible chakra implications. The depiction on the right is from the cover of the book, Divine Encounters, by Zecharia Sitchin bookcover. 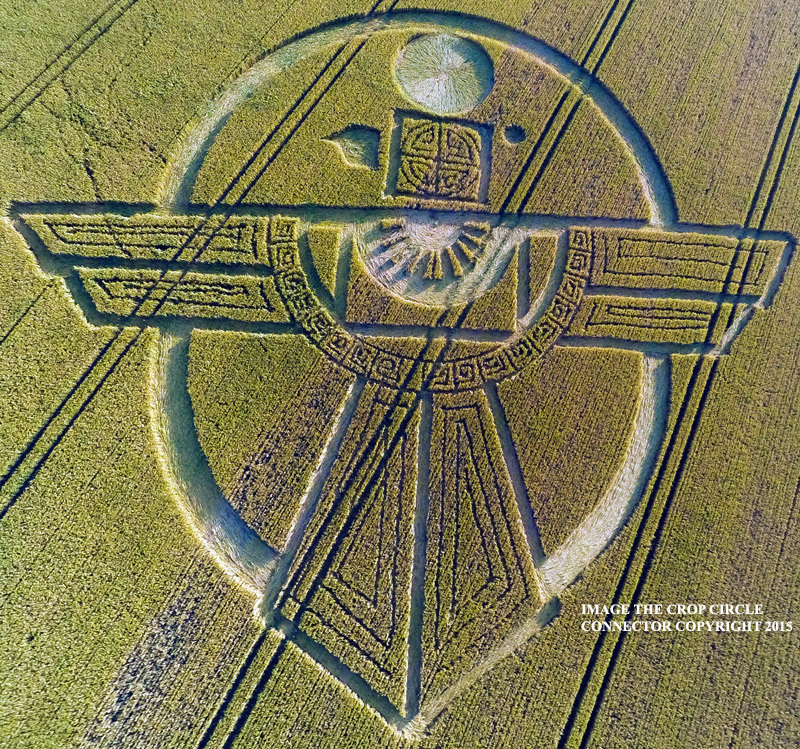 The picture on the right is a photograph of a crop circle formation that was reported 14 June 1997 at Upham, Hampshire. 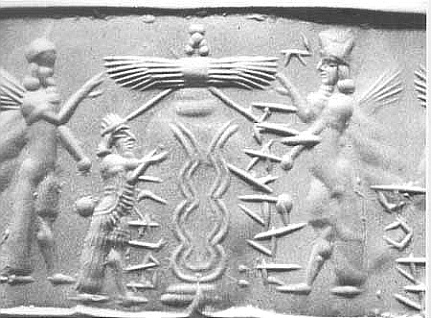 Note it's similarity to the shape below the wings in the ancient Sumarian glyph on the left. The crop formation was called by some, the "Jelly Baby." THAT SAID, THE VIDEO TOWARD THE END STATES CLEARLY THAT PLANET X IS NOT COMING FROM THE SOUTH BUT FROM THE ECLIPTIC OF SAGITTARIUS, WHEREVER THAT IS. MANY OTHER PLANET X RESEARCHERS SAY IT IS COMING FROM THE SOUTH. UNFORTUNATELY FOR US NORTHERNERS, WE CAN'T SEE THE SKIES IN THAT DIRECTION, SO WE WILL HAVE TO RELY ON OUR SOUTHERN FRIENDS TO KEEP US POSTED THIS NEXT YEAR. EVENTUALLY WE WILL FIND OUT THE TRUTH. PREPARE THE BEST YOU CAN AND PRAY THAT GOD DOESN'T WANT TO KILL US ALL FOR OUR SINS. Why are we having so many earthquakes recently? Is it just that the media likes to report dramatic and tragic events, or has there been a quantitative increase? The graph below appears to tell a worrying story. 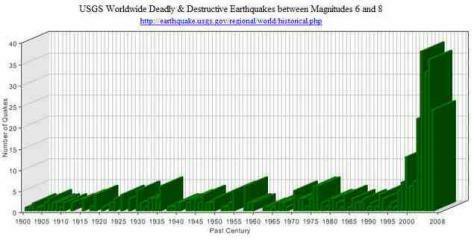 The graph legend states "USGS Worldwide Deadly&Destructive Earthquakes between Magnitudes 6 and 8" and plots data from 1900 to 2008. It appears to show a huge spike in major earthquakes starting some time around 1999. The conspiracy theorists have been all over this like a rash and numerous fingers are pointing to HAARP technology. Even the official literature states that starting in 1996 HAARP tested its capabilities for geological mapping using ELF waves by modulating the ambient current in the ionosphere using HF radio waves. Such a graph, showing a spike soon after HAARP started, seems to confirm the theorists' worse fears that not only has there been an increase in destructive earthquakes but that they may well be artificially created. BC. It has been associated with the Bronze Age Unetice culture. At some later date, two arcs (constructed from gold of a different origin, as shown by its chemical impurities) were added at opposite edges of the disk. To make space for these arcs, one small circle was moved from the left side toward the center of the disk and two of the circles on the right were covered over, so that thirty remain visible. The two arcs span an angle of 82°, correctly[origina indicating the angle between the positions of sunset at summer and winter solstice at the latitude of the Mittelberg (51°N). Given that the arcs relate to solar phenomena, it is likely the circular plate represents the Sun not the Moon. 2) Arcs are added on the horizon for the zones of the rising and setting sun. Individual stars were shifted and/or covered. 3) Addition of the "sun boat"
PRIOR TO ITS ARRIVAL ITS LIKE A WOMAN GIVING BIRTH. 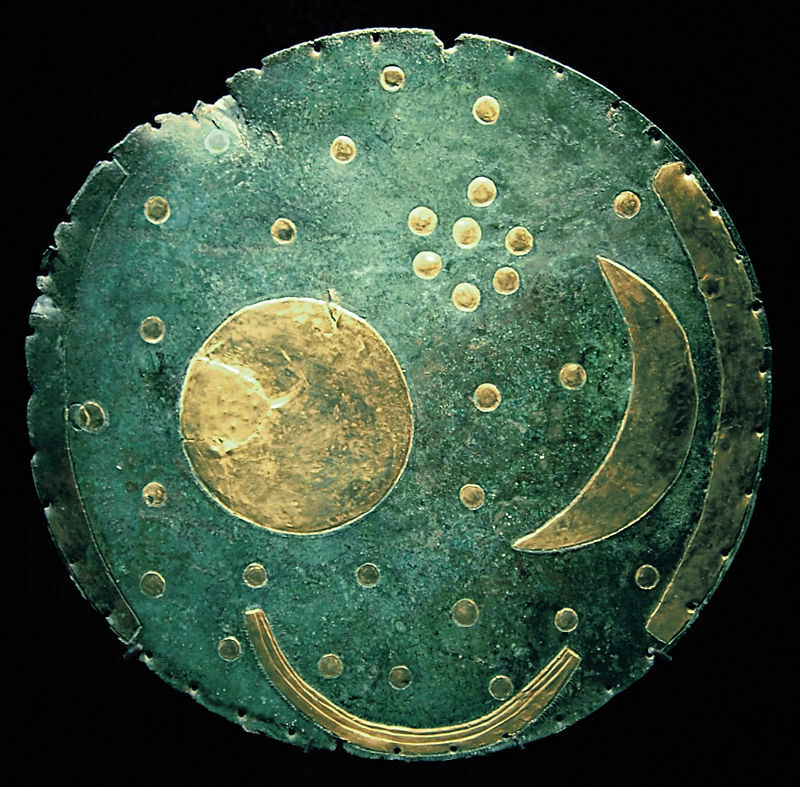 THE MOON ON THE NEBRA DISK IS FACING THE WRONG WAY. SO IT WASN'T A CRESCENT MOON THAT ECLIPSED THE SUN. 700 BC HESSIKIAH'S TIME (THEY USED A DIFFERENT CALENDAR. THE DISK WAS FOUND IN GOTHIC GERMANY. THE RIVER IS ON THE DISK AS WELL. THE EARTH CORRECTED ITSELF AFTER THE OBJECT PASSED. THIS CAUSES A PARTIAL POLE SHIFT. THEN EXODUS OCCURRED. THAT WAS THREE DAYS OF DARKNESS BECAUSE THE PLANET WAS MOVING SLOWER AT THAT TIME. THEN THERE WAS JOSHUA'S LONG DAY. PLUTO HAS A VERY STRANGE TILT, SO SOMETHING HIT IT - PROBABLY BY THIS OBJECT. CERES IS PART OF A DESTROYED PLANET AND WHERE THE DEBRIS FIELD IS - THE ASTEROID BELT IS THE DESTROYED PLANET. THE 3 HOURS OF DARKNESS AT JESUS TIME ON THE CROSS IS PART OF THE PLANET'S CROSSING. THIS WAS 28 AD. THERE WAS A THREE HOUR ECLIPSE. BUT IT COULDN'T HAVE BEEN THE MOON BECAUSE THE MOON WAS IN THE WRONG PLACE AT THAT TIME OF DAY. AN ECLIPSE CAN ONLY LAST 7 1/2 TO 10 MINUTES TOPS. TO CREATE A 3 HOUR ECLIPSE, THE OBJECT HAD TO HAVE BEEN 7 1/2 TO 8 TIMES THE SIZE OF EARTH. EARTH WILL BE MOVING DEEPER AND DEEPER INTO THE TAIL OF PLANET X BECAUSE THEY WIKK BE GOING THE SAME DIRECTION. EARTH WILL BE LOSING ENERGY AT 4 1/2 TO 5 % COMPOUNDED HOURLY. SO, IN 20 HOURS, EARTH WILL COME TO A STOP. DON'T EVEN TRY TO IMAGINE WHAT HAPPENS WHEN A PLANET STOPS. LET'S JUST THE MAN IS WRONG IN AT LEAST ONE OF HIS CALCULATIONS! THE TAIL OF A COMET IS PLASMA - SO WHEN EARTH REACHES THE PLASMA FIELD IT WILL START ROTAING AGAIN. IF THE TAIL IS ICE PARTICLES, IT WON'T AFFECT US AT ALL - BUT IF ITS PLASMA - IT WILL. THIS IS MENTIONED IN THE BOOK OF REVELATION. A New Heaven and a New Earth ???? THE AUTHOR STATES THAT WITH AN EXTRA 12 HOURS PER DAY - THAT AMOUNT OF FIERY HAIL WOULD DESTROY ISRAEL. HE SAYS THE BATTLE OF JOSHUA TOOK ONLY ONE HOUR OF FIERY HAIL. AFTER THAT CAME JOB'S TROUBLES. HIS PEOPLE WERE DESTROYED BY FIERY HAIL. HIS DAUGHTERS WERE KILLED IN THEIR HOUSE WHEN A HEAVY WIND BLEW OVER THEIR HOUSE CAUSED BY THE PRESSURE FROM AN IMPACT. AT THE SAME TIME WAS THE ACCOUNT OF A DROUGHT OF RUTH AND NAOMI. IT WAS A 7 TO 10 YEAR DROUGHT. BY THE WAY, CALIFORNIA IS NOW IN THE 4TH YEAR OF OUR DROUGHT. NAOMI SAYS SHE WANTED HER LAND BACK BECAUSE IT WAS A JUBILEE YEAR. 2016 IS ALSO A JUBILEE YEAR. AT THAT SAME TIME WAS SODOM AND GOMMORAH AND THE TOWER OF BABEL. NOTE HOWEVER, IN THE WRITINGS OF ZECHARAIAH SITCHEN HE TELLS THE STORIES OF THE ANUNNAKIS AND THEIR NUCLEAR WARS WHICH MANY PEOPLE HAVE NEVER READ, AND FROM SPACE, ONE CAN STILL SEE THE BLACKENED SAND WHERE THOSE WARS TOOK PLACE, AND THE RUBBLE OF THE EXCAVATIONS OF SODOM AND GOMMORAH THEY ARE DOING RIGHT NOW COULDN'T HAVE BEEN MADE BY HAIL STONES. DURING WWII - THERE IS STILL EVIDENCE THAT WHEN THE ATOMIC BLASTS WENT OFF, THE PEOPLE WERE OBLITERATED COMPLETELY BUT THEIR SHADOWS WERE LEFT ON THE BUILDINGS. THEN WE HAD JONAH'S WARNING TO NINEVEH. THE PEOPLE KNEW SOMETHING WAS WRONG BECAUSE THERE WERE MORE EARTHQUAKES, MORE VOLCANOES GOING OFF, FISH KILLS, BIRD KILLS, AND A BIG DROUGHT. AT THE 40TH DAY, THEY COULD SEE THE PLANET X COMING AROUND THE SUN. SO THEY HAD A 40 DAY WARNING WITHOUT A TELESCOPE. ALL THE PEOPLE REPENTED BECAUSE THEY KNEW SOMETHING WAS WRONG. THEN WE HAD AN INVASION OF KING SENNECHERTH OF ASSYRIA ON JERUSALEM AND HIS ARMY OF 175,000 WAS WIPED OUT. THEY WERE KILLED BY A DELUGE OF FIERY HAIL. THE STORY OF THE ANGEL IN THAT EVENT COULD EASILY BE ATTRIBUTED TO THE PASSING OF THE PLANET. THAT IS GOD'S MESSENGER THAT KILLED THE ENEMY. THOSE LAST THREE EVENTS ALL HAPPENED IN THE SAME YEAR. STATISTICS SHOW THAT EARTH MOVES 8.4 EARTH DIAMETERS IN ONE HOUR. AT 52 DEGREES, YOU GET AN OBJECT THAT IS APPROXIMATELY 666 WIDE. THEN WE HAVE HAGAI'S WARNING TO JERUSALEM. THEY HAD NEGLECTED TO BUILD YAHWEY'S TEMPLE. THEY BUILT FINE HOMES FOR THEMSELVES, BUT STILL WORSHIPPED GOD IN A TENT. THAT WWAS IN 335 BC. GOD TOLD THEM THAT HE WAS GOING TO PUNISH THEM BY MAKING THEM WORK THROUGH THE SABBATH YEAR AND THE EARTHQUAKE WOULD BE STRONG ENOUGH TO SEN A DRIVER SOLDIER OUT OF HIS CHARIOT. HE SAID HE WOULD SHAKE THE WORLD. AT THIS EXACT SAME TIME, ALEXANDER IS BUILDING A BRIDGE TO TYRE. HE WAS TRYING TO BREACH THE WALLS AND HAD PROBLEMS. THE WALLS OF TYRE WERE KNOCKED DOWN BY A BARRAGE OF FIERY HAIL BIG ENOUGH TO TAKE DOWN THE WALL. THE FIERY HAIL CAME FROM THE PLANET PASSING BY. IN THE FOLLOWING YEAR, ALEXANDER WAS IN PERSIA AND THERE WAS AN ECLIPSE. THAT HAPPENED IN THE SABBATH YEAR REST. WE ARE IN A SABBATH YEAR RIGHT NOW. THE SABBATH YEAR IS THE 49TH YEAR, FOLLOWED BY A JUBILEE. 2016 IS A JUBILEE YEAR - THE 50TH YEAR. THE HEBREWS EXPECT THEIR MESSIAH TO COME IN A JUBILEE YEAR. IT HAS TO BE IN THE SAME GENERATION AS THE HOLOCAUST, SO IT HAS TO BE NEXT YEAR AND NOT 50 YEARS LATER. ELIJAH SHOWS UP ON THE FEAST OF PASSOVER ANNOUNCING THE MESSIAH COMING. AND HE'LL COME IN 3 1/2 DAYS WHICH IS MID-WEEK AND ON THE OPPOSITE SIDE OF EARTH THEY WILL BE GETTING THE METEOR SHOWER. IN THE HEBREW WAY OF COUNTING, THE FIRST JUBILLE WAS 70 JUBILEES AGO, SO THIS ONE IS WHEN THE MESSIAH COMES. ISREAL BECAME A NATION IN 1947, SO COMBINING THE HEBREW COUNTING WITH THE ASTRONOMY - 2016 HAS TO BE IT! AFTER 40 YEARS IN THE WILDERLAND, THEY WERE TOLD THAT WOULD BE THEIR FIRST JUBILEE. FROM THEN UNTIL NOW, IT'S EXACTLY 70 JUBILEES WHICH IS SIGNIFICANT IN THE HEBREW WAY OF COUNTING. 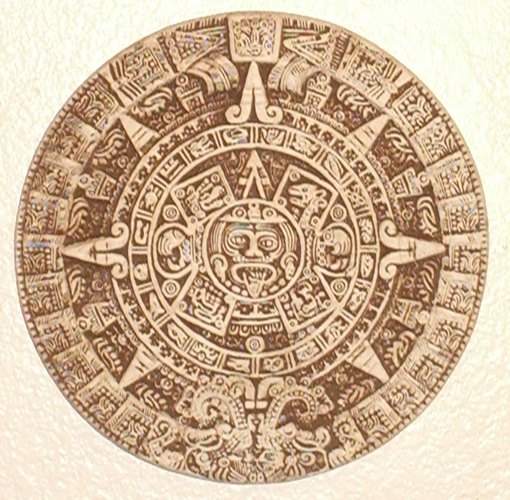 WITHOUT THE CHINESE DOCUMENTS OF 1054, THAT WAS THE KEY TO UNLOCKING THIS MYSTERY AND THE NEBRA DISK AS WELL. ON PASSOVER THE SUN IS ON THE OPPOSITE SIDE OF EARTH AND CANNOT CREATE AN ECLIPSE, SO THAT MEANS A DIFFERENT OBJECT DID IT AND WLL DO IT AGAIN. WHERE JESUS WAS CRUCIFIED/SACRIFICED, IT WAS SAME AREA WHERE ABRAHAM TOOK JACOB TO BE SACRIFICED. ABRAHAM WAS REHEARSING THE DEATH OF A SON. ABRAHAM WAS THE FATHER OF A NATION. 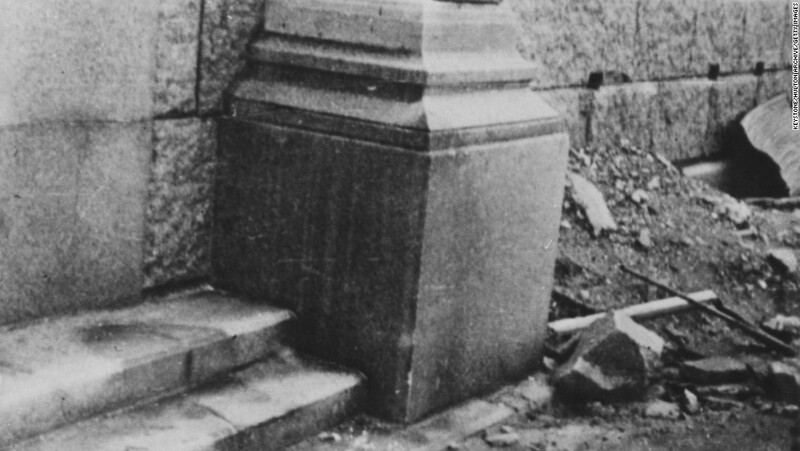 MOUNT MORIAH WAS CUT IN HALF - THEY WERE QUARRYING THE ROCK. THEY CUT THE STONES TO MAKE THE WALLS OF JERUSALEM. AND THAT UNCOVERED GOLGATHA, THE SKULL, WHICH IS THE PLACE OF THE SKULL. AND THAT'S WHERE JESUS WAS SACRIFICED, RIGHT WHERE ABRAHAM WAS. THERE IS A GOOD CHANCE THE ARK OF THE COVENANT IS HIDDEN IN A CAVE BENEATH THAT SPOT, BECAUSE THE ARK WAS NOT THERE DURING THE TIME OF THE SECOND TEMPLE. AT THE TIME, THERE WAS A BIG EARTHQUAKE, AND JESUS BLOOD RAN DOWN THROUGH A CRACK IN THE GROUND, HITTING THE TOP OF THE ARK AND FULFILLING THE LAW OF SACRIFICE. THE NEXT INSTANCE WAS CONSTANTINE. COSTANTINE SAW A CROSS IN THE SKY - October 28, 312 CE. CONSTANTINE WAS A SUN WORSHIPPER - THE DEITY OF THE SUN. THEIR CALENDAR WAS CARVED IN STONE AND THERE IS A BLUE OBJECT ON IT THAT LOOKS LIKE A COMET. IT'S ON THE OUTER RIM TOWARDS THE UPPER RIGHT. THEN CAME THE CHINESE WITH THEIR "GUEST STAR" IN 1054. THE CHINESE, KOREANS AND JAPANESE DOCUMENTED THIS OBJECT. IN BEIJING, THEY HAVE A CARVED DRAGON THAT HAS A CIRCULAR OBJECT BETWEEN TWO DRAGONS. Recent archaeological discoveries confirm the dragon’s association with Chinese culture for at least six thousand years. Dragon references occur prominently in early philosophical texts as well as in the images of shamanistic worship. One legend has it that six to seven thousand years ago when living conditions were extremely harsh, the early Chinese believed that certain species of animals or plants possessed the power to overcome nature’s fury. Different tribes regarded a particular animal or plant as their totem or common ancestor as well and the tribe’s special guardian able to provide food and avert disaster through omens or signs. At that time there were great numbers of tribes scattered all over China each worshiping its own totem. Among them was a tribe located in Central China on the middle and lower reaches of the Yellow River, which used the snake as its totem. They called the snake “dragon” and owed their victories in battle to the dragon’s protection. Whenever they conquered another totemic tribe, they added part of that totem to the snake to show that they had annexed another tribe. For example, when they annexed the tribe with a deer totem, the deer’s antlers were added to the head of the snake. In that way, the dragon finally became the creature of Nine Resemblances: Head of a camel, horns of a deer, eyes of a hare, ears of a bull, neck of a snake, belly of a clam, scales of a carp, claws of an eagle, and paws of a tiger. Additional descriptions added whiskers on each side of its mouth, the voice of a copper gong, lethal scales which were reversed under the throat and extended out 12 inches. A later scholar described this dragon of nine resemblances as having nine rows of nine scales or 81 scales. Nine is an important and lucky number in China. A large white pearl, often shown in the dragon’s claws or jaws, was his most precious possession. It gives off a radiant light which never fades and was the source of his power. Before the beginning of time-- at the time before creation--the dragon (Lung or Long) is identified as one of the four primary benevolent spiritual animals, the symbol of all things male as was the sun. The second was the phoenix (feng), the symbol of all things female. The final 2 were the unicorn and the tortoise. After the creation of man, Tien Ti, the Emperor of Heaven, observed the wickedness of man and sent a flood which covered most of the land. Yu, a younger god, took pity and asked for man’s forgiveness. With Tien Ti’s permission Yu descended to earth with a giant black tortoise carrying magic soil to absorb the flood and an emerald scaled dragon whose wings he used to sculpt the land. For thirty years, he traveled the earth scattering the soil and using the dragon’s tail to carve out the steppes, mountains, rivers and valleys of China. 1. Greatest power was that of transformation. The dragon could become a human, animal or bird, but always retained the nature of a dragon. 2. Dragons is associated with Wisdom-- conferring great blessings on those they favored. 3. Revered and feared because he is most often associated with the weather and is also known as the “rain master” His eyes flashed lightening, wings caused the wind, his breath the rain. The dry season occurred when he was hibernating in the water which was his natural element. Every river and lake in China boasted its own dragon. 4. Dragons took thousands of years to achieve full growth. They mated in the form of snakes, laid eggs near a river or lake. The eggs were huge and round, like beautiful stones or jewels, and often required a millennium to hatch. Lightening and thunder accompanied the hatching. An additional 1500 years were required to achieve full size; 500 more for the horns and another millennium for the wings, though the dragon could fly without them (a fun math problem!). 5. The dragon was the symbol of the Emperor of China (Supreme ruler of all of China who rules by the Mandate of Heaven. The Emperor was supposed to have dragon’s blood in his veins. All of his possessions were given the name of dragon: Dragon Throne, Dragon Robe, Dragon Boat, Dragon Bed, etc. Only the royal dragon had five claws. All others had three or four. It was a crime punishable by death for anyone but the Emperor to possess a dragon with five claws. 6. Dragon is associated with the seasons, He ascended into the sky in the spring to make rain for the crops and returned to his underwater palace in the fall. A farming people, the Chinese peasants prayed to the dragon for good harvests, banging gongs to awaken him in the spring. They brought him offerings and small images in clay. 7. Dragon kingdom is divided into four departments ruled over by the Dragon King: Celestial Dragons (Tien-lung) who guarded and supported the heavens, Spiritual Dragons (Shen-lung) who controlled rain and wind and fed man, Earth Dragons (Ti-lung) who directed the course of rivers and streams safely toward the sea and Subterranean Dragons (Fut’s-lung) who guarded the treasures of the earth, gems, jade, gold. Each dragon type had four categories. probably associated with growth and age: serpentine, clawed, horned and winged. 8. Dragons came in many colors also associated with their powers: Azure dragons were associated with spring, red and black were ferocious, representing storms in clouds, and yellow dragons were the greatest, like the sun, elusive, august and solitary. Types and colors of dragons might make an excellent classification exercise. 9. One legend identified the dragon’s favorite food as swallows, so much so, in fact, that persons who have had swallow for dinner are advised not to cross a bridge or go near water lest the dragon scent swallow on the eater’s breath and gobble him alive. Dragons are easily frightened by the centipede (often poisonous in China) or by a piece of silk dyed with five colors. 10. Dragons came to be associated with all things relating to the Emperor, with two holidays-- the Dragon Boat Festival and Chinese New Year. It is one of the 12 signs of the Chinese Zodiac--the year 2000 is the Year of the Dragon. IN 1374, DURING THE TERRIBLE PLAGUES OF THE MIDDLE AGES, THE COMET PASSED TWICE, DURING THE BEGINNING AND AT THE END. IN A PAINTING, IT SHOWS FIERY RAIN FALLING FROM HEAVEN. WHICH PROVES IT'S NOT HALEY'S COMET THAT DOESN'T HAVE THAT SAME EFFECT. THEY HAD TREES SNAPPED FROM EARTHQUAKES AT THE SAME TIME. THEY HAD DROUGHT AND LACK OF FOOD, ALL AT THE SAME TIME. 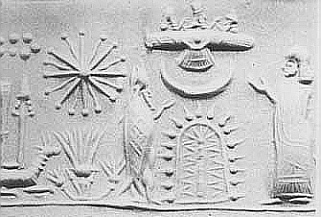 IN GERMANY IN NOVEMBER 1694, A CARVING SHOWS TWO OBJECTS IN THE SKY. IN JOSHUA'S LONG DAY, THE OBJECT IN THE SKY WAS REPORTED TO BE 50 TIMES LARGER THAN THE MOON. THAT'S A VISUAL PERSPECTIVE, NOT AN ACTUAL MEASUREMENT OF COURSE. I PERSONALLY WATCHED THIS OBJECT WITH A GROUP OF PEOPLE. IT WAS BRIGHT ENOUGH TO SEE EVEN WITH BRIGHT CITY LIGHTS ON IN THE NEIGHBORHOOD. Comet Encke 2p Perhelion was May 23rd Closest to Earth June/July Mag 6. Comet Encke Photo - Oct. 24, 1993 · Comet Encke Photo - Nov. 17, 1993 . The comet of Nostradamus ("great star") will light up the skies for a week before it strikes Earth. To avoid the approaching calamity, the pope will flee the Vatican. IN THE BOOK OF REVELATION, IT IS MENTIONED, PROBABLY IN MARCH OF 2016, AND WE WILL BE GOING THROUGH ITS TAIL. THAT ALWAYS BRINGS OUTBREAKS OF STRANGE DISEASES AND DEATHS AND PLAGUES OF VARIOUS KINS. Feb 29, 2012 ... CHINA PLAGUE OF FROGS. PLAGUE OF FROGS IN COBA. CHHINA FROGS. Dee Finney's blog. February 29, 2012. UPDATED 3-9-12. THE BIBLE CLEARLY DESCRIBES 1/3 OF THE EARTH HIT BY FIERY HAIL - METEORITES. Oct 3, 2002 ... DAN 12:1-2. First Vial. Noisome and grievous sore upon men with the mark of the beast, and which worshipped image. REV 16:1. Second Vial. THERE IS A SHIFT OF CONSTELLATIONS EVERY 2100 YEARS. IN JESUS TIME, IT WAS LIBRA, AND NOW ITS VIRGO. IN REVELATION 12:1, WHERE THE WORD 'SUN' IS USED SHOULD REALLY SAY 'ILLUMINATED BODY' BECAUSE ID THE SUN IS OUT YOU CAN'T SEE THE STARS. WE HAVE TO REALIZE THAT AT THE TIME THIS TEXT WAS WRITTEN ORIGINALLY, JOHN DIDN'T HAVE ASTRONOMICAL EQUIPMENT LIKE WE HAVE NOW, AND THEY DIDN'T HAVE 0'S OR DECIMAL PLACES YET EITHER. WE HAVE TO TAKE THAT INTO ACCOUNT WHEN THE BIBLE USES 1260 DAYS ANS 3/12 DAYS IN THEIR PEOPHECY... WE NEED TO RECALCULATE THE TIME USING MODERN MAT HMATECAL AND ASTRONOMICAL TECHNOLOGY. WE ARE PROBABLY LUCKY THEY WERE THAT CLOSE. THE ANNOUNCEMENT WILL BE MADE ON PASSOVER THAT THE MESSIAH IS COMING. IT CAME INTO OUR SOLAR SYSTEM IN THE YEAR 2000. PEOPLE CLAIM TO BE PHOTOGRAPHING IT. CAMERAS ARE THAT GOOD THESE DAYS. HOWEVER THAT SAID, NOTHING SEEN THUS FAR IS REALLY PLANET X. THEY ARE EITHER ARTIFACTS OR GLITCHES ON THE CAMERAS OR LENSES - BUT NEVER FEAR - BEFORE IT GETS HERE, YOU WILL BE ABLE TO SEE IT WITH THE NAKED EYE, AND THAT DAY IS NOT THAT FAR AWAY. AS FAR AS PREPARING FOR THIS, THE GOVERNMENT IS WATCHING THE MONETARY FUNDS CLOSELY, AND THEY HAVE BUILT UNDERGROUND FACILITIES FOR THEMSELVES, BUT THEY ARE NOT GOING TO LET THE PEOPLE KNOW WHAT THEY ARE DOING. THAT LEAVES THOSE OF WITH AWARENESS OF THE SITUATION TO PREPARE FOR OURSELVES. CHECK OUT THESE TWO PAGES FIRST. Gather together enough food and water for a basic emergency kit plus whatever you can afford. Purchase as much freeze dried food as you can afford because that lasts at least 20 years, but be aware that if someone in your neighborhood knows about it, they will be at door at first opportunity, maybe even with a gun. If you know your neighbors well or are a member of a church, you might venture a group effort to do the same where you can gather as a group for whatever events happen where you live. Remember that various areas of earth will be different according to landmass, access to rivers that might have clean water. But you might also ne in a drought area, or where the meteor showers hit and set big fires, particularly in dry grass, or dry forests. You will have to judge those things for yourself. Personally, I would store up a lot of seeds for a food garden, and dried beans for making sprouts to eat as well. The Vatican has a huge telescope in Arizona on top of a sacred mountain with the telescope facing south. Australia has one, and so does the south pole. Other individuals also have telescopes watching for planet X as well. It's been predicted for quite some time, but many people thought that Nibiru and Planet X were the same object and they are not. There are also individuals with well known web pages you might come across with pertinent information that will be useful. You will find all kinds of information on youtube.com, and don't forget google.com and facebook.com for good information. According to Zecharia Sitchin, there is a 12th planet in our solar system. This planet is called Nibiru, and is situated somewhere beyond Pluto (Planet "X"). Dee Finney's blog. start date July 20, 2011. Today's date September 14, 2011. page 43. TOPIC TEKOMA - PLANET X. I wrote about Planet X last month -. Jul 6, 2004 ... THE ENTIRE PLANET MAY BE IN DEEP TROUBLE: a Government Coverup ..... He speaks of the fact that "Wormwood" (Planet X) has arrived. 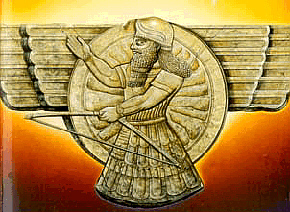 All About Planet X with Links and Photos · THE TRUTH ABOUT NIBIRU by Alex. ALEX (THE LIGHTBEING ET) ANSWERS SOME QUESTIONS FROM DEE. not only is Cygnus X-3 emitting a new and more powerful stream of material .... Occasionally, Spica may have a bright visitor nearby--a planet wanderer. He says: Oh, it seems to be a rather nice planet, and we know about it, and all we need to do is ...... We have a huge crack-down on anything to do with Planet X.
Sep 2, 2012 ... When the magma cools it forms basalt, the planet's most-common rock ..... Dee Finney's blog June 6, 2012 page 236 PLANET X AND THE SUN. Jun 30, 2009 ... CURRENT SOLAR X-RAY DATA ... X-ray Solar Flares ..... wider than the planet Mercury and more than three-quarters the size of Mars. Jun 10, 2014 ... 64800 x 666/9990 = 4320 (Alpha total of Rev.13:18 = 9990...# of beast ..... Dee Finney's blog June 6, 2012 page 236 PLANET X AND THE SUN. Planet hunters have found two worlds roughly the mass of Neptune, each ..... out of place as the earth wobbles now in front of the Planet X that is approaching . The formation was a 30 x 26 checkerboard-like grid, giving a total of 780 squares. This .... The planet had two aspects and was shown and revered as two gods. Sep 30, 2014 ... The ongoing display is a result of our planet's response to the ... raised the daily odds of an M-class solar flare to 75% and an X-flare to 15%. This article implied that the tenth planet actually orbits a two sun (binary ... The moon ......Planet X never collides with earth or the sun because of the newly . Sep 20, 2011 ... PLANET X. May 16, 2003 ... The Southern Cross Constellation. The ... gardens. The shape of this constellation inspired the letter T. On Mu it was pronounced Tau (tah-oo). Mar 24, 2007 ... If the soul being judged has chosen to be a Wild Man, in the Centaur image, then the judgment is death at the Southern Cross and the Skull. Jul 26, 2003 ... The Southern Cross Constellation. The Southern Cross (CRUX) is now the smallest of all 88 constellations covering just 68 square degrees. Aug 8, 2013 ... For the ancient Maya, the cross represents both the constellation of the Southern Cross and the "Sacred Tree" its four branches analogous to . Australia has the emblem of the Southern Cross on their flag. Any of this may or may not have anything to do with this vision. We will wait to see if there . ... the setting positions of the five bright stars of the Southern Cross. This alignment occurred in the precessional era of 250 B.C. when these structures were built. God showed me the Southern Cross and it was ablaze, as if on fire. With this, a very evil principality spirit, but people not taking this "principality . Jan 12, 2014 ... REO Speedwagon, "Can't Fight This Feeling" "Roll With the Changes", 10:47. Crosby, Stills and Nash, "Southern Cross" "Teach Your Children"